This well known Shiv temple is situated at Mandirbazar near Laksmikantapur. Built in the 18 TH Century by renowned Sabarna zamindar Keshab Ram Roy Choudhury, this great temple attracts thousands of pilgrims every day from all over Bengal. It is a common belief among the pilgrims that their every wish made here has always been fulfilled. As Keshab Ram founded the temple, the Deity here is thus called as Keshabeshwar. The designs and carvings on the temple walls makes the temple a spot for architechtural interest. The Lord Jagannath temple at Barisha. 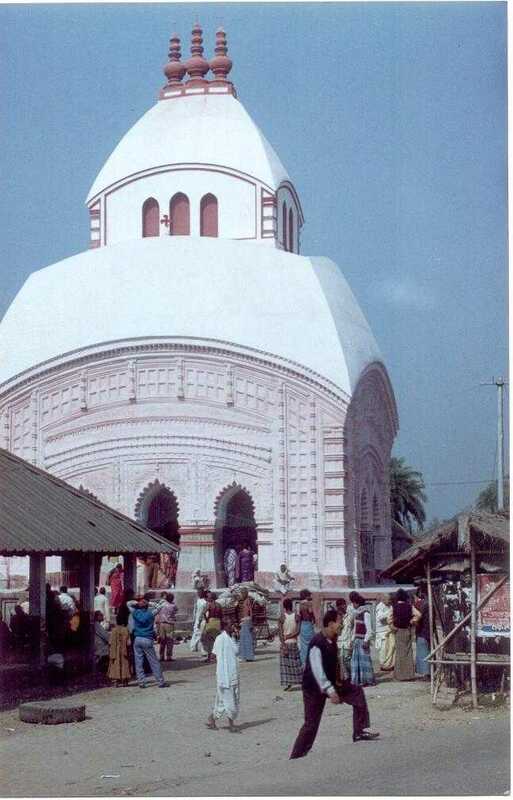 Built by Lal Kumar Roy Choudhury of the Sabarna family, this temple attracts hundreds of visitors everyday. 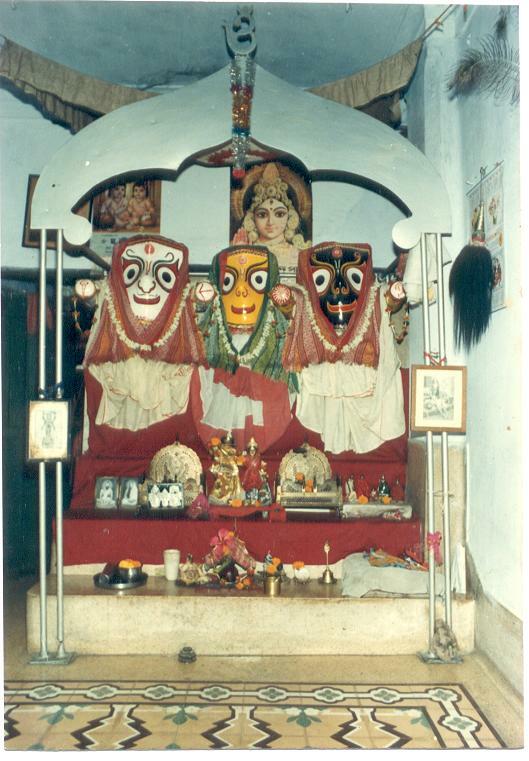 These Deities are taken to the Rath during the Rathayatra festival. After the death of Laksmikanta in 1649, his descendants settled themselves at different places in their dominion. One such settlement was made at Kheput in South Bengal. Today quite a few hundred family members live there and thus Kheput is one of the major family settlement. Spirutality has been always a part of the family. The great Kali Puja at Kheput is worth mentioning and is highly auspicious. Every year on the day of the Kali Puja thousands of people visit the temple to have a blessing of the Devine Mother. This is a typical image of our Durga. 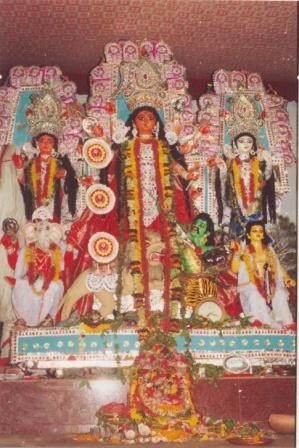 This is the idol of Aatchala. All the seven Durga Pratima are being created almost in the same manner. 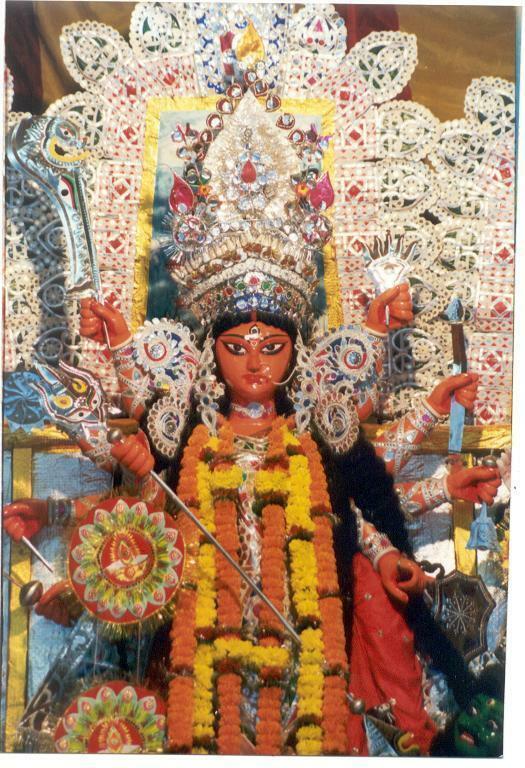 The uniqueness of the Pratima is that it has Chaalchitras divided into three parts and have pictures of the the ten different images of Ma Shakti known as the Dasamahabidya. On one side of the Pratima there sits an idol of Shiva and on the other side its Rama. They are also being worshipped. The colour of the Durga is reddish or it can be of light golden as mentioned in the Durgabhaktitarangini. The Asura is green in colour depicting the evilness and jealousy in him. Here Karkikeya is dressed in the princely style. In total the Image brings hope and prosperity for the worshippers. This is a close view of Ma Durga as she comes to the Sabarna Roy Choudhury family. The image depicts motherly love and affection as well as her strength and dedication to destroy the evil forces which are a part of our characters. 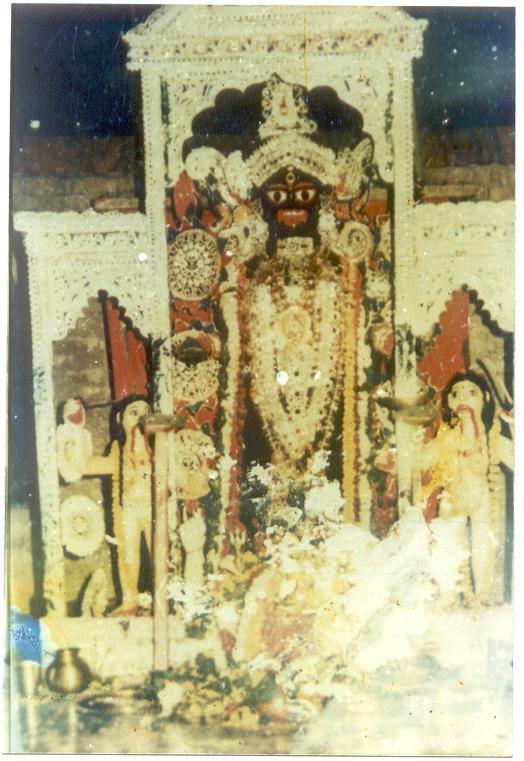 This is the idol of Baro Bari. 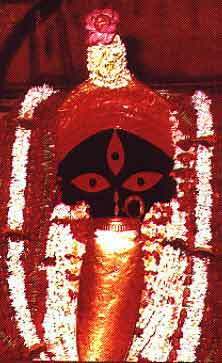 This is the idol of Ma Kali at the World famous Kalighat temple situated in Kolkata. This is also the family Deity of our family. From the time of Kamdev Brahmachari, Laksmikanta and Atmaram the Deity is being worshipped and is beleived to be the preserver of the Sabarna family. Today everyday thousands of pilgrims visit the temple and are being blessed by Ma Kali.